For homes, cottages, and cabins with microbiologically unsafe water sources, Water Control offers two effective residential disinfection technologies. 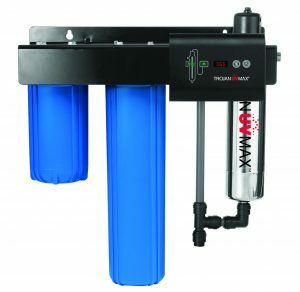 Our High-Capacity Ultrafiltration systems can filter out 99.999% of bacteria and pathogens with a long filter life. Our Ultraviolet (UV) systems combine particulate pre-filtration and UV irradiation to deactivate (kill) harmful microorganisms. Both technologies can be used in well and surface water applications, depending on local conditions and codes. Our experienced specialists can help you to determine the best solution for your application.